Some people like to mix things up on Thanksgiving with pomegranate glazed turkey or hazelnut stuffing. I’m not saying I’m one of those but I do tend to deviate from the norm now and then on Saint Patrick’s Day. Many times I’ve substituted Brussels sprouts for boiled cabbage or I will make an “Irish Tiramisu” using Bailey’s for dessert. This was one of those years for me. I decided to serve my corned beef as a side dish. 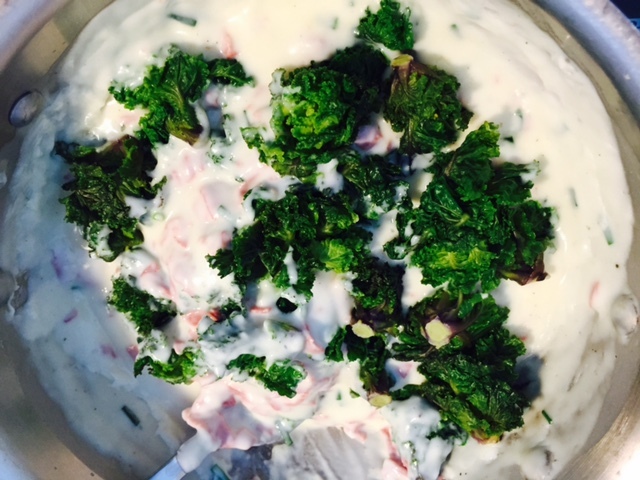 In this case, I only needed about 6 oz of slivered deli corned beef but you can make this dish even better the day after if you have your own boiled corned beef from the main event. 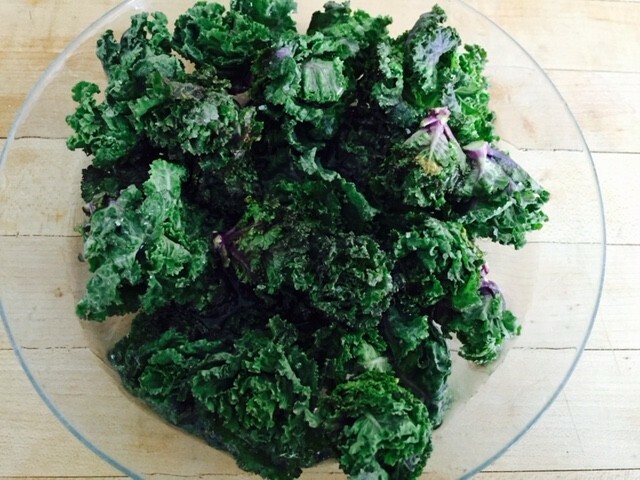 I’ll admit I was inspired by kale sprouts I’ve recently started seeking out at Whole Foods. They are a product of Belgium and come in a 150gm bag. They are really quick to cook. I simply trim off some some of the brown leaves from the sprouts and arrange in a large shallow glass bowl. Fill with about 1 1/2″ of water. Sprinkle with sea salt and microwave on high for 3 minutes. Stop microwave, redistribute them in the water, and cook 1 minute longer. 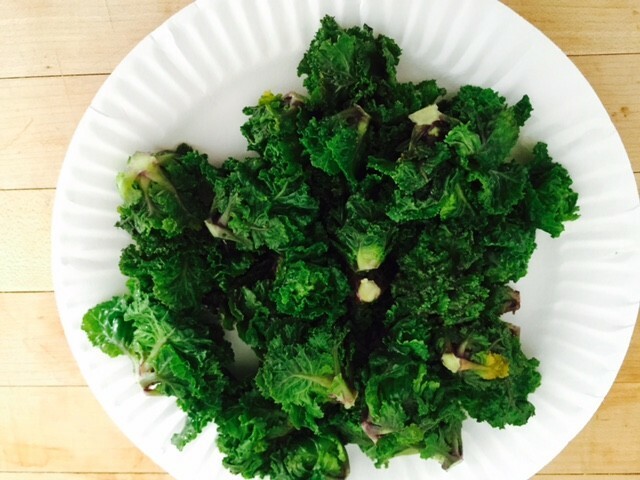 Drain Sprouts well on a paper plate and allow to cool to room temp. 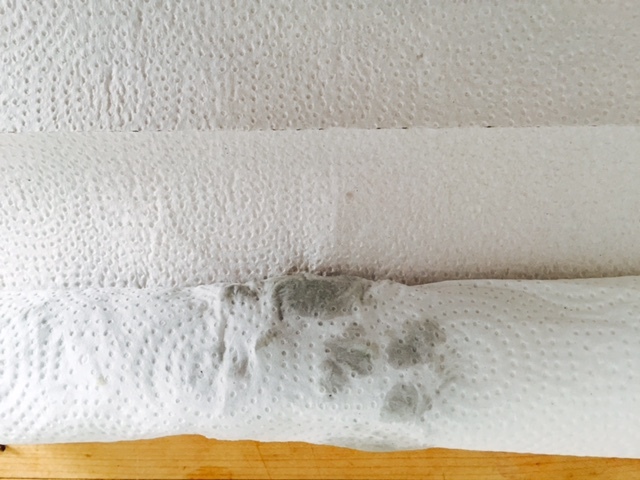 Roll sprouts in a paper towel to squeeze out excess moisture. 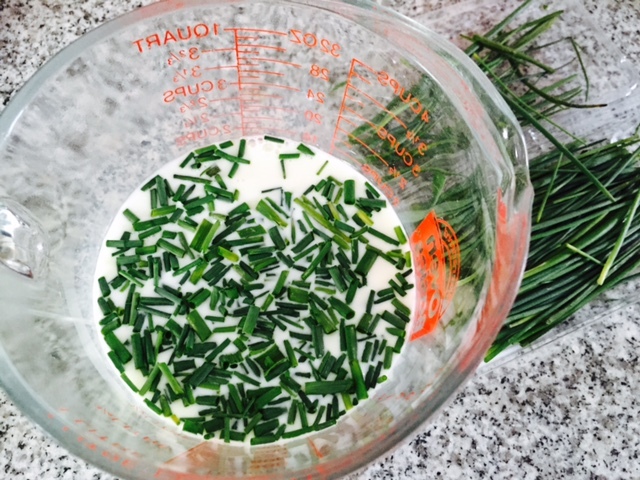 Now for the cream sauce: heat 2 cups of milk with 2 tbs fresh snipped chives in the microwave for 2 minutes. 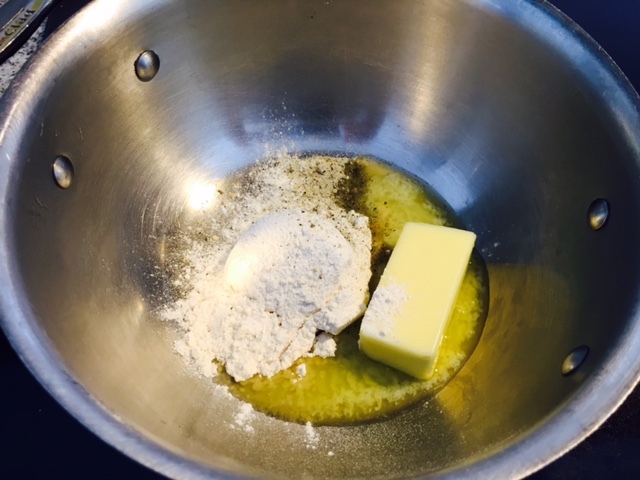 Make a roux by melting 1/4 cup butter and blending in 1/4 cup flour, 1/4 tsp salt, 1/2 tsp onion powder a few grinds of black pepper and a dash of nutmeg. 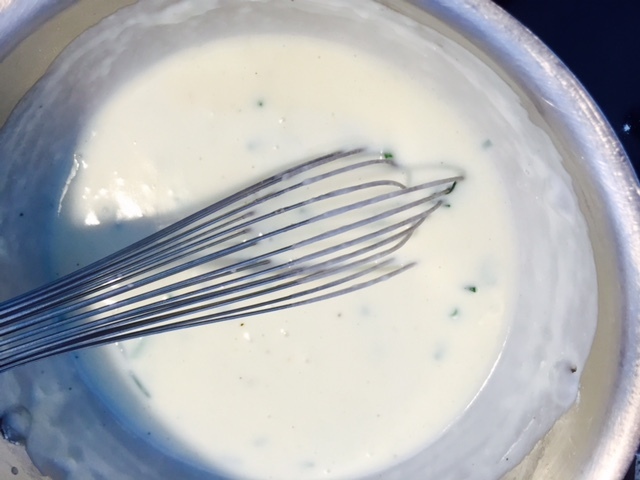 Blend together with a wire whisk over medium heat until bubbly and smooth. Blend in heated milk and bring to a boil, stirring until thickened. 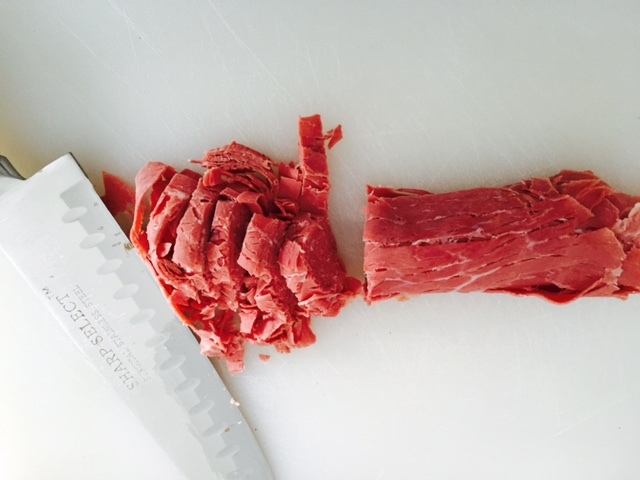 Take about 6 ounces of deli sliced corned beef, roll up and slice into julienne strips. 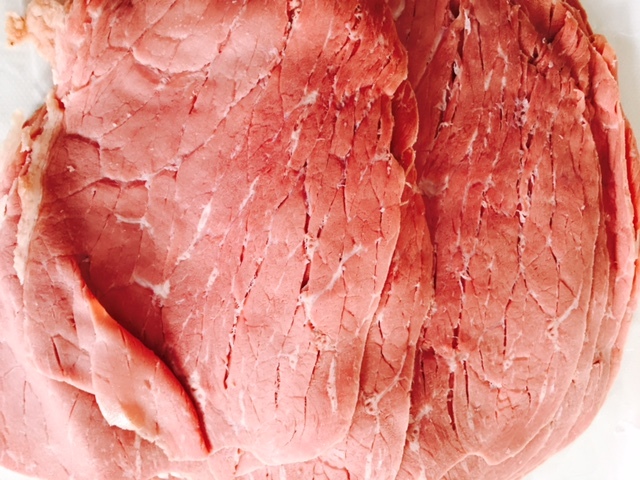 (If you are using home-cooked corned beef, just chop up leftover meat since the texture tends to break apart more when simmered on your stove. 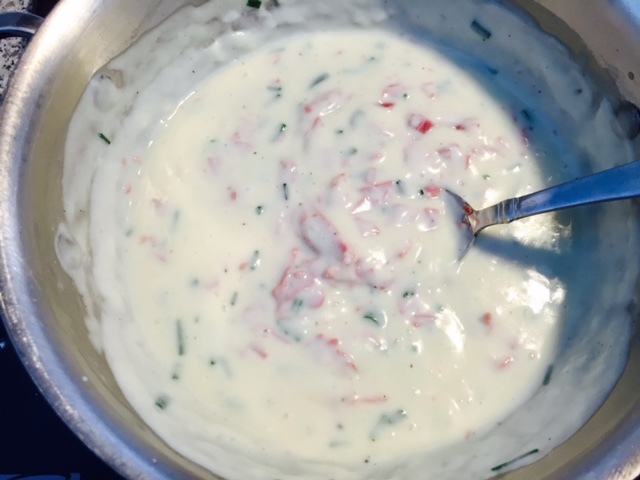 Stir into chive cream sauce. 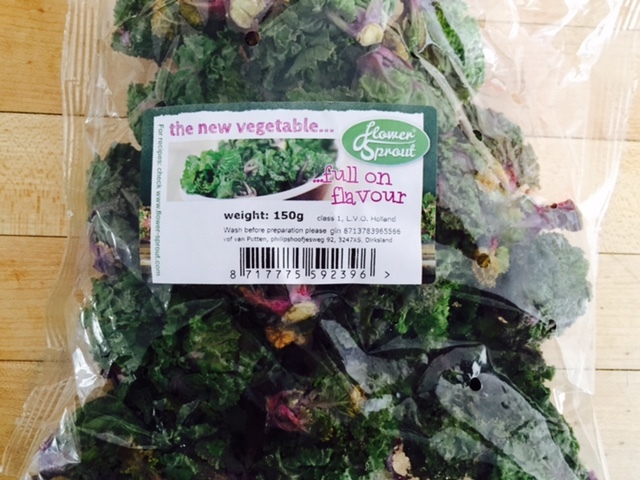 Add drained kale sprouts. 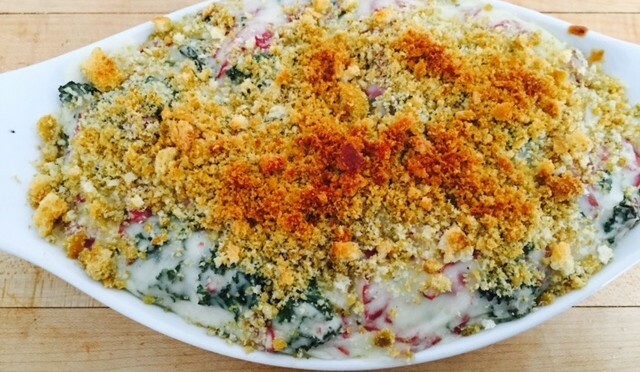 Spread into a casserole and cover with buttered breadcrumbs. 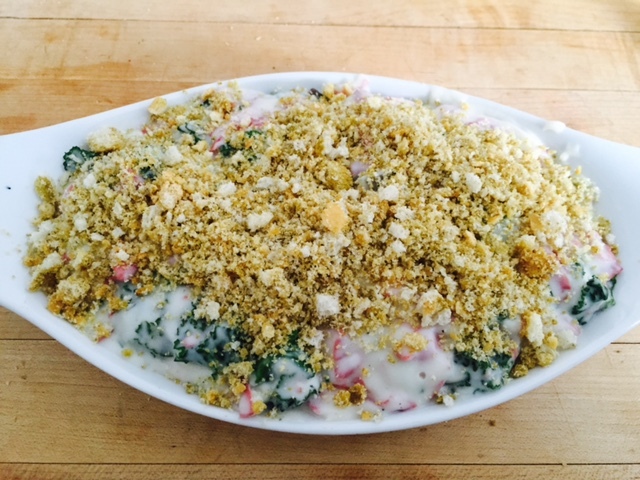 Bake at 350° for 20 minutes or until breadcrumbs are golden and bubbling. 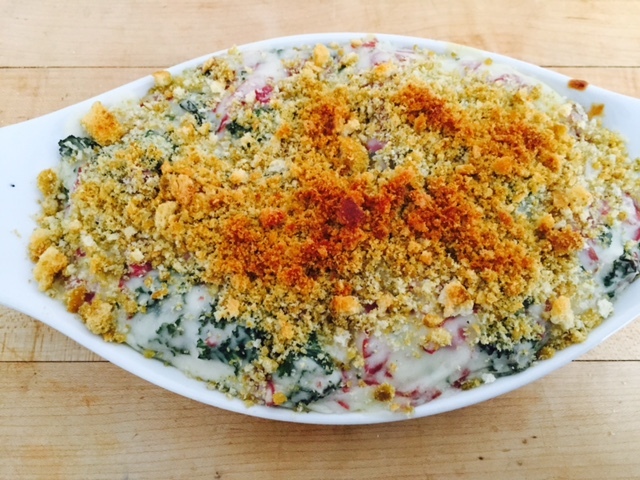 This actually a great post- St Patrick’s Day dish just like a turkey casserole after Thanksgiving. There I go again comparing the two holidays. I can’t tell you how many times I say Happy Thanksgiving to people on St Patricks Day!